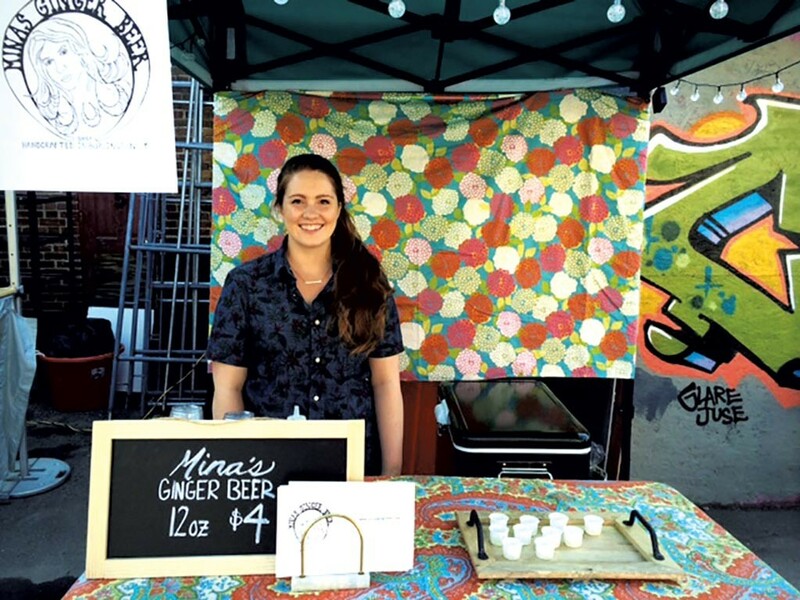 A traditional drink takes a hit of heat with Mina's Ginger Beer, a new business from Kelly Keen that can be found at the Middlebury and Winooski farmers markets and the Burlington Truck Stop. Keen, who grew up in Shelburne, studied nutrition and biomedical sciences at Colorado State University and says she's "always loved working with food." Post-college, Keen moved to Burlington, where she now works as a server at ArtsRiot and Bistro de Margot to supplement her budding business. With Mina's, she's putting her food knowledge and culinary prowess to good use: Her spicy brew mingles organic young ginger from Kolo Kai Organic Farm, in Hawaii, with fresh lemons and organic, fair-trade sugar. "[My ginger beer] has about half the sugar content of common competitors," says Keen. "My ultimate goal is to deliver a strong kick. My slogan is 'Nice Spice — Not Too Sweet.'" Her next goal? "I want to have my bottling process up and running as my next phase of business," Keen says. Until then, she hopes to make Mina's Ginger Beer "the staple around town" for cocktails, such as "a mighty fine" Moscow mule, she suggests. As the Mina's website states, "We like our cocktails like we like our ginger beer: strong and in good company." The original print version of this article was headlined "Making It Snappy"